Born in Galloway, Franzeska has over 20 books in publication - mainly for children. She writes for all ages. She often uses shadow puppetry to help people express themselves. 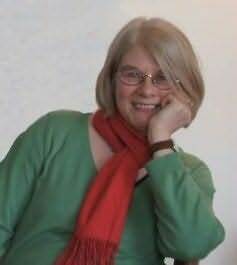 In September 2009 she takes up post as Royal Literary Fund Writing Fellow in the University of the West of Scotland, Ayr campus, where she will be working one-to-one with students on their academic writing. She has recently moved to the village of Lochwinnoch, Renfrewshire, after over 20 years in Glasgow.